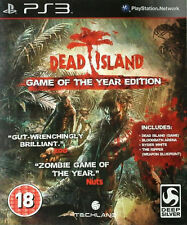 Dead Island Special Edition - PS3 Playstation 3. I will do everything I can to sort it out. 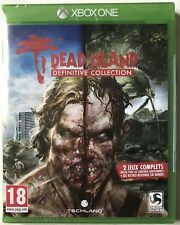 DEAD ISLAND : RIPTIDE SPECIAL EDITION(BLES 01739). Rated 18 Contains strong bloody violence & strong language. Manual is in very good condition. Blu-Ray Disc is in excellent condition. 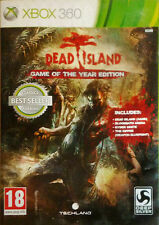 Dead Island - Special Edition (PS3). Condition is Like New. Dispatched with Royal Mail 2nd Class Large Letter. DEAD ISLAND RIPTIDE. Dead Island Riptide Disc. SONY PLAYSTATION 3. SPECIAL EDITION. Boxed, Complete and in Very Good Condition. Can you survive the impossible?. DLC Code Information. 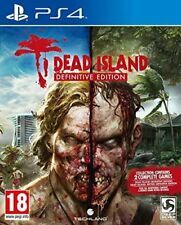 Dead Island Definitive Collection is a compilation containingDead Island Definitive Edition ,Dead Island Riptide Definitive Edition and also includes for freeDead Island Retro Revenge ! Dead Island Definitive Edition Features Include. The Tropical Island of Banoi has been struck by a relentless Zombie Outbreak and you're caught in the midst of it. Survive the terror, explore the mystery and maybe you will make it out of Paradise Alive. 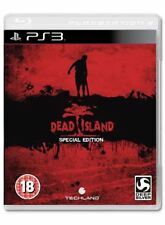 Dead Island Special Edition - PS3 Playstation 3. Condition is Very Good. Dispatched with Royal Mail 2nd Class Large Letter. Xbox 360 DEAD ISLAND RIPTIDE. VGC. This is an awesome game for the XBOX 360 . Disc is in VGC. 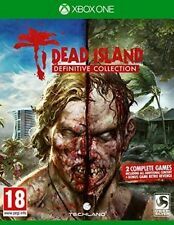 4 out of 5 stars - Xbox 360 DEAD ISLAND RIPTIDE. VGC. 1 product rating1 product ratings - Xbox 360 DEAD ISLAND RIPTIDE. VGC. 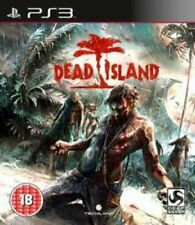 Dead Island (PS3) VideoGames . Condition is Good. Dispatched with Royal Mail 1st Class Large Letter. Cliff, like Dead Rising hero Frank West, is a photographer. If you're looking for a bit of zombie butchery, look no further. Dead Island Definitive Collection is a compilation containingDead Island Definitive Edition ,Dead Island Riptide Definitive Edition and also includes for freeDead Island Retro Revenge ! (May require a UK/EU Xbox Live account). COMPLETE WITH INSTRUCTIONS. WHERE POSSIBLE I WILL RE-USE JIFFY BAGS. Jeuneuf sous blister, en version française. Classification PEGI 18 ans et plus.